Should V.P. Mike Pence Become America’s President? On August 27th, Axios bannered “First Cohn, now Tillerson, turn on Trump”, and reported that U.S. President Donald Trump’s Chief Economic Advisor, Gary Cohn of Goldman Sachs; and President Trump’s Secretary of State, ExxonMobil’s Rex Tillerson, were rejecting Trump for his fence-riding about hate-groups such as nazis and KKK. That’s just the latest stage in a multi-stage process, of forcing Trump out and bringing Pence into the White House. There’s increasing talk now of replacing Trump with his Vice President, who Constitutionally is the first-in-line-of-succession to the Presidency. As I had reported March 6th, “The palace coup is on, to replace Trump by Pence”; but it’s much farther along today, than it was at that time. First, the Establishment tried to replace Trump by Pence for allegedly having stolen the election from Hillary Clinton (allegedly via assistance from Vladimir Putin), and they’ve been preparing to impeach him for that and for his widely believed general corruption. But now, increasingly, they don’t even want to wait that long, but are instead organizing to implement a quicker method, which the Democratic Party commentator Keith Olbermann had first publicized on 23 November 2016, headlining “The Surprisingly Easy Way to Get Rid of Donald Trump”. No House impeachment, and no Senate trial, are even necessary: all that’s necessary in this alternative method is for the Vice President to write to the Cabinet that the President isn’t able to discharge his powers and duties as the President, and for half of the Cabinet to agree on that. Pence would then automatically become Acting President. But then, within about three weeks, the House and the Senate would need to vote on whether the Vice President will remain in office as the Acting President, or else to restore the elected President. (Of course, if Pence and his supporters in the Cabinet lose such a congressional vote, Trump might fire them.) In order for Pence to remain as the Acting President, two-thirds of each chamber would need to vote for Pence. If all of the non-Republicans vote for Pence, that would be 48 Senators (or 48% of that body) and 194 Representatives (or 44.6% of that body). Getting to the required 67% would then need only 19 Senate Republicans out of the 54, and 95 House Republicans out of the 246. That would be 36% of Senate Republicans, and 39% of House Republicans. (Perhaps a majority of Republicans would vote for Pence, in each chamber. In that case, some of the non-Republicans could vote for Trump and yet still Pence remain as the Acting President.) Pence could already have the votes he’d need, but that’s presuming his roughly three weeks as Acting President would be favorably covered by the nation’s newsmedia, which presumption would likely be true, since they obviously want Trump to be replaced by Pence — and the sooner the better. (And, as Acting President, Pence would be certain to avoid doing anything at all controversial during that period of temporary service. After all, if Pence loses such a vote in Congress, his own political career will be promptly ended.) For Trump even to challenge Pence’s allegations in such a case, might cause Congress to enter immediately into the impeachment-and-trial route, which might cause Trump to become federally charged on criminal counts shortly after he becomes convicted in the Senate, if he becomes convicted there. He’d then be facing ordinary American ‘justice’, but with an extremely hostile press. Either way, Trump’s brand-value would collapse, but if he becomes removed as an incompetent, he’s less likely to become imprisoned. What, then, would the U.S., and the world, face if Pence becomes President? He has an extensive record in politics, and his record is consistently conservative, but actually beyond being only that: he is a neoconservative, pro-theocratic, pro-aristocratic, pro-mega-corporate (especially pro-international-corporate), true-believer. Another way to categorize him is as a fundamentalist Christian neoliberal neoconservative, who would be a dream-come-true for America’s military-industrial complex: ‘policeman to the world’. Even if Trump is trying to give the generals everything they want, they could increase their demands if Pence becomes established as the President and Commander-in-Chief. They’d have the lock-solid backing of the Congress, and of the President, and of the newsmedia. And of religious fundamentalists. And, anyone who would challenge a President in that circumstance, would then be quickly labelled un-American. Such outcomes are becoming increasingly likely. Pence is a solid neoconservative and passionately supported invading Iraq; he was a full-bore George W. Bush fundamentalist-Christian Republican, and remained that at least up till the time when Trump chose Pence as his running-mate, on 15 July 2016. Indiana’s Governor Mike Pence became chosen by Trump as his Vice Presidential running-mate because Trump needed, and Pence already strongly had, the support both of the Koch brothers (and their political network of billionaires who together funded the Tea Party segment of the Republican Party) and also of the fundamentalist Christian community (including the “Moral Majority” Jerry Falwell network, and the “Christian Coalition” Pat Robertson network). Pence describes himself as “a Christian, a conservative, and a Republican — in that order.” And, as The Hill has reported, “Pence has long had close ties to the Koch network.” That means he’s committed to eliminating the federal regulatory agencies, especially the Environmental Protection Agency, but all others being at least greatly weakened if not turned over completely to control by the corporations they regulate. The petroleum Koch brothers are famously libertarian, and this means especially liberty for corporations (particularly the biggest ones), but most of all for their own corporation, which is the second-largest privately held corporation in the U.S. What’s religious doctrine for fundamentalist Christians, is economic doctrine for economic libertarians; and, ever since the founding of libertarianism in the 1940s, fundamentalist Christians (such as Gary North) have been prominent libertarians. What Antonin Scalia and Clarence Thomas have been on the U.S. Supreme Court, Mike Pence would be in the White House. All three men not only are (and were) patriarchal, but are (and were) intensely partisan right-wing fundamentalist Christians whose conception of “religious freedom” is largely comprised of religious slavery in which the U.S. federal government will be imposing, by means both of law and policy, Christianity and biblical law, upon atheists, and upon agnostics, and upon adherents to non-Christian faiths — requiring them to be funding, in their taxes, some Christian monuments and activities (including private schools). To these Christian fundamentalists, “freedom of religion” means freedom only within religion, and only with Christianity on top (and with Judaism close behind because the Bible includes the Jewish Scripture, the Pentateuch). Of course, that accepts but subordinates Muslims, but it also accepts but subordinates Hindus and many others, and so it borders on racism (though of a Christian sort), even if it’s not quite racism. (It’s more accurately categorized as supremacism.) And, as one would expect, Pence is solidly for the death penalty, and for ‘tough’ policing, and against homosexuals, and against abortions (as also are/were Scalia and Thomas). ‘God’s Law’ tends to be harsh. And, when Pence, as (or campaigning to be) a public official, describes himself as “a Christian, a conservative, and a Republican — in that order,” what’s omitted from that list is more important than what’s on it; “an American” isn’t even on the list of what he thinks himself primarily to be; and, a U.S. public official whose top responsibility is to carry out the U.S. Constitution, isn’t being merely ignored in the self-characterization by a public official such as that; it’s being implicitly negated by that person’s stated commitment to a supposedly ‘higher’ Law than the U.S. Constitution: to ‘God’s Law’ (the Ten Commandments etc. ), in this country, where no mention, at all, is even made of “God,” much less of “Christ,” in our Constitution. They want their unAmerican selves, to define “American” for everyone, but the Founders had already defined “American,” by their Constitution; and, though they tolerated, as being Americans, persons of any beliefs at all (including even Nazis, and even Communists), no one except by means of an Amendment to the Constitution that they wrote, would be authorized to revise the definition that they wrote. Any poseurs who would try to do otherwise and rewrite the Constitution (so as to subordinate it to some ‘God’, or otherwise) are revolutionaries, even if (such as Pence) of a sort that seeks to restore something closer to the type of government that this country’s Founders overthrew and replaced. A revolution can be backward; not every revolution is necessarily forward; and a conservative revolution in America can go back to the aristocratic system that preceded our democratic one — go back to Americans being subjects in a kingdom, instead of citizens in a democracy. It has already almost happened, and Pence could complete it. The Democratic Party’s “Think Progress” blog is accurate in its claims and documentation in their article “Mike Pence, your friendly neighborhood ‘theocrat’”, where Pence’s biblical views regarding homosexuality, abortion, and other biblically condemned matters, are linked to, so that one can explore those issues in depth, to understand the President’s commitments, if and when Pence becomes the President. Prior to Trump’s having selected Pence on 15 July 2016 as his V.P. 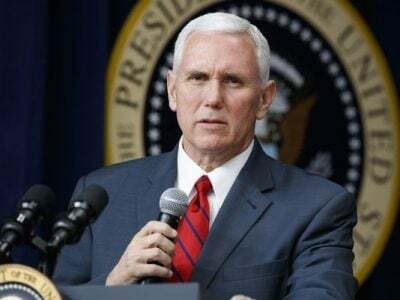 running-mate, Pence’s only articles or statements about his vision for the nation and for the Republican Party were published at his campaign site “Mike Pence for Congress,” between 1991 and the year 2000, when he finally won a seat in Congress. So, the quotations here will be from that time, and they show what the unvarnished Pence is. The dates he said these things are all no later than 17 April 2000 (as is indicated by the earliest URL listing them being where the “20000417” means that it was recorded on 17 April 2000, and so the articles with these titles were linked-to at Pence’s site by no later than that date). That last one is remarkable: George Washington was a “Republican,” and Calvin Coolidge was a “great” President who said that “all stupid people are Republicans” — and Pence seconded the thought. However, a google-search for the field — “all stupid people are republicans” coolidge — shows “No results found for coolidge ‘all stupid people are republicans’.” On the other hand, a facebook post from a New York Democrat, Mitchell Joseph, dated 25 February 2013, did say exactly what, prior to 2001, Pence had attributed to Coolidge. Furthermore, a Democratic Underground discussion in 2004 focused on exactly that same phrase: “Not all Republicans are stupid, but all stupid people are Republicans.” So, that statement can be described as a bipartisan opinion: bipartisan between Democrats, from at least 2004-2013, and the Indiana Republican Mike Pence in 2000 (and, presumably, all House Republicans at the time when Barack Obama was becoming President in 2009 and they all voted Pence their #3 leader). And, Donald Trump’s choice of Pence to be Vice President of the U.S. proves Trump himself to be one of the stupid Republicans, regardless of what Calvin Coolidge said. Evidently, Trump was going after voters like himself. “The United States Security Council adopted Resolution 1441. We hear a great deal about new resolutions. I applaud the President’s effort to try and exhaust all diplomatic means this week. But let us be clear what 1441 said. Mr. Speaker, number one, it said that Iraq is guilty. No objective observer doubts that Iraq has violated 17 U.N. resolutions. Number two, it said that Iraq could remedy its guilt through disarmament and disclosure. Number 3, if it refused to remedy, it would be a material breach, and serious consequences should flow. He even confused the U.N. Security Council with being a branch of the U.S. Government. On that basis, Russia and China and France allowed it to pass. On November 13th, Iraq agreed to comply with the Resolution. Weapons inspectors returned to Iraq on November 27th, led by Hans Blix of UNMOVIC and Mohamed ElBaradei of the IAEA. No WMD were found, but the U.S. and UK intended to call the Security Council back into session to authorize invading Iraq because the inspectors said that there remained “presently unresolved disarmament issues” and the need for continuing their work. On 10 March 2003, French Prime Minister Jacques Chirac announced that France would veto any authorization for an invasion unless and until Iraq ordered the weapons-inspectors out or else blocked their inspections, which Iraq was fully cooperating with. A majority of UNSC members then indicated that they would vote against any resolution leading to war. America’s pretense to be acting in compliance with U.N. resolutions ceased immediately. The U.S. didn’t call the Security Council to meet (as the U.S. had promised to do if it would propose to invade), because now clearly the U.N. would not authorize an invasion. The U.S. and UK thus simply went rogue on the U.N. The U.S. ordered the U.N. weapons-inspectors out, because the U.S. was going to invade and bomb there, regardless, so the inspectors would possibly die if they stayed. The U.S. was now in open violation of the U.N. The ‘hidden triggers’, which the U.S. had promised didn’t exist, turned out to have been the combination, of Resolution 1441 itself, plus of America’s lie about how the U.S. would interpret it, and about what America’s intention at introducing it was: America’s intention was actually an invasion with or without U.N. authorization but preferably with such authorization. Pence’s support for the U.S. invasion and massacre of Iraqis continued, regardless. Nobody knows what Trump felt about the invasion (except that he didn’t think it was being done in the most effective way, which better way — to do an evil thing — he never specified), but Pence clearly and passionately supported all of it. Furthermore, Pence is supported not only by the fundamentalist Christians, and by the Kochs’ network of libertarian billionaires, but also by the entire neoconservative establishment, who ran G.W. Bush’s foreign policies. He also has consistently supported NAFTA, and supported President Obama’s proposed TPP, TTIP, and TISA trade treaties, all of which were ardently supported by America’s international corporations (the chief — if not only — beneficiaries of those treaties). Here were some of Trump’s voters during the Republican primaries. Pence was selected so as to appeal to them and to the Kochs, and to the neoconservatives, and to the religious right, and to the neoconservatives. Pence is even more of a Republican than Trump is. If and when the people who control the Republican Party decide to replace Trump by Pence, they’ll probably succeed at achieving America’s most-hard-right turn, ever. Trump made some of his pre-election pitches to progressives, but Pence never even pretended to be a progressive, at all. If Pence becomes President, the far-right Republican Party will be totally and unequivocally in control. This doesn’t necessarily mean it’s not totally in control now: Trump’s promises to progressives turned out to have been all lies. But Pence is a deeply committed far-right Republican. He has no commitments whatsoever — not even lying ones — to progressives. The fact that Democrats want to replace Trump by Pence shows that today’s Democratic Party is, itself, only fake ‘progressives’. Bernie Sanders and Tulsi Gabbard sometimes condemn the Democratic Party, but perhaps ultimately they’ll have to abandon it altogether (and run for elections only as themselves, no Party — which was the way America’s Founders intended American politics to be run). The idea of a non-partisan public official is the bedrock ideal upon which the Founders planned America. Tragically, they failed, and this is the ultimate result of that failure. The problem in America isn’t that the aristocracy are funding only two Parties; it’s that they are funding any at all. The Founders tried but failed, in this their dearest of all hopes. All they achieved now is to have replaced the British aristocracy with an American aristocracy (albeit without titles of ‘nobility’). We’re finally back to square one, after 241 years.